December songs and finger plays! This resource can be used for circle time in a daycare, preschool, Pre-K, or Kindergarten classroom. 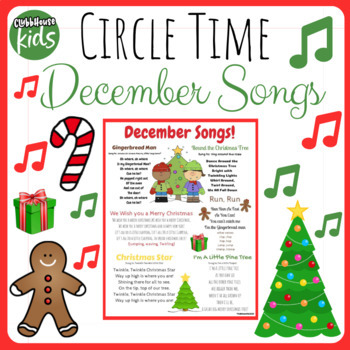 This is also a great resource to send home with children to sing the seasonal songs with their families.